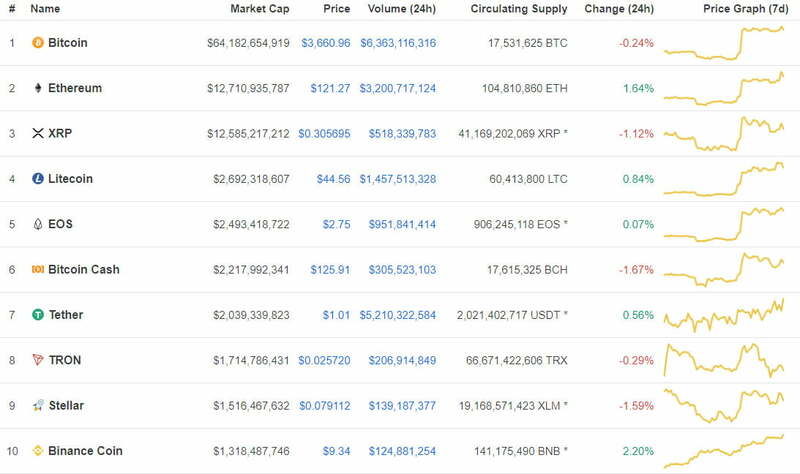 Daily volume is up from $2.7 to $3.2 billion and this has been enough to push Ethereum’s market capitalization above XRP according to Coinmarketcap.com . At the time of writing ETH market cap was $12.7 billion and it was in second place. Ripple’s token conversely only managed to make 8% during the weekend rally taking it to a weekly high of $0.315.